This tour is exclusively designed for those who want to spend most of their time relaxing and sightseeing at one of the most beautiful tourist sites in Vietnam. 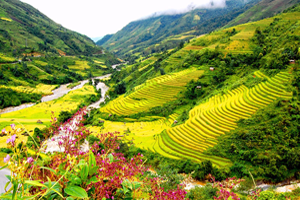 That is Sapa, where you can have a great time discovering one interesting place after another and learning new things about hill tribe people. 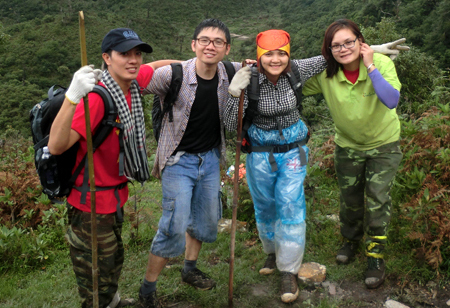 Day 2: Sapa, 17 km by car, 15 km trekking , round 5 hours of trekking. Day 3: Sapa, Round 17 km trekking in the forests. Day 4: Sapa, 4 hours trekking of 10 km and 23 km by car. Met up at your hotel in Sapa by local guide and driver then transferred to Muong Hoa valley. 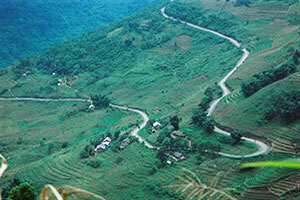 Your trek will begin from Tavan village of Giay minority. The first day trek will be mostly uphill. Whenever you stop for a rest, you will be able to enjoy valley view. Before noon, you stop again at a nice spot for lunch. Today’s trek is relatively short compared to other days. Breakfast and leaving Thanh Phu for 2 hours downhill to the Muong Bo River, cross the river to the other bank and then challenging uphill for 2,5 hours along a narrow to Ban Lech Village of the Red Zao. Spend an hour exploring this beautifull village before picked up for 1 hour road transfer back to Lao Cai .